Jericho Woods hail from Webster, KY. A small community in Breckinridge County. Their sound is polished and these folks know how to write some catchy melodies. Great folks that happen to sing some great songs. I bet you’ll walk away a fan! My personal favorite Jericho Woods song is “I Love The Way You Love Me”. It has a bit of an island vibe, so it should fit in perfectly down by the river! Mr. Nicholas Jamerson needs no introduction. As part of the Sundy Best duo, Nicholas has made his name very well known around these parts. Now a solo artist with two albums under his belt, Nicholas continues to create personal songs that anyone can relate to. 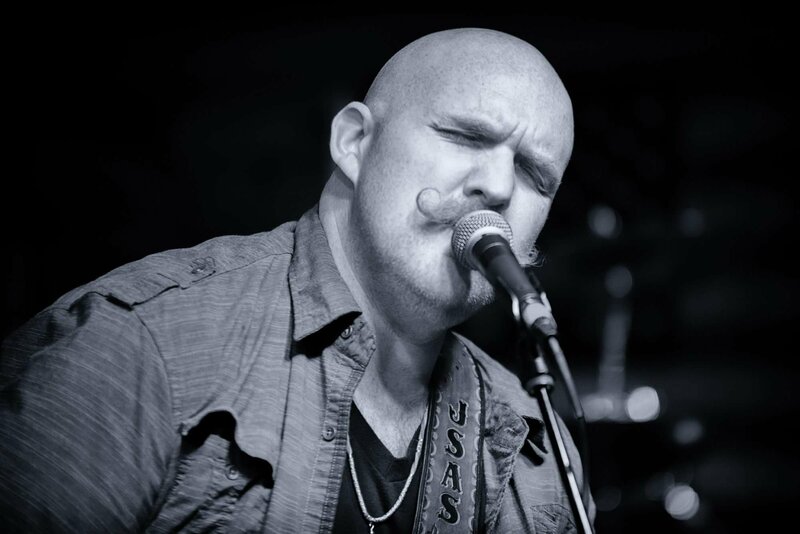 His smooth tone makes this Prestonsburg, KY native a wonderful addition to this year’s lineup! 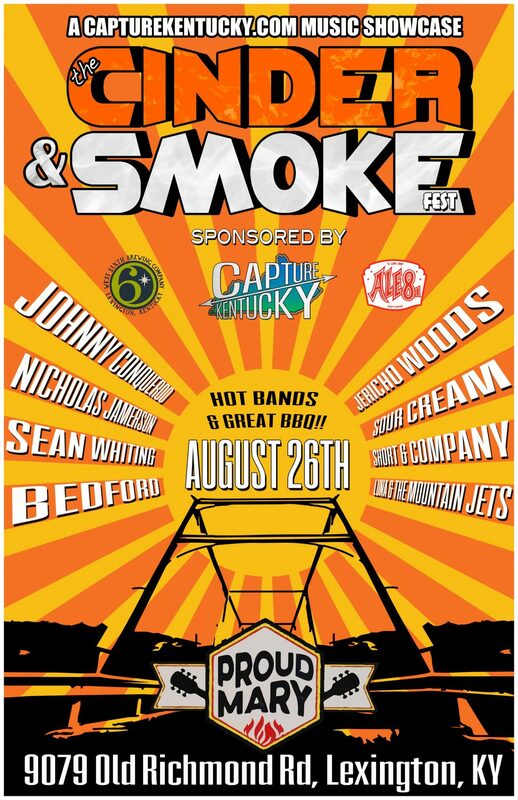 Johnny Conqueroo are a trio of young men from Lexington, KY that, if you’re a reader of this site, we firmly believe in. Their youthful energy and psychedelic brand of rock n roll will be a definite highlight for many folks. These young men have all the potential in the world and we’re ecstatic to have em!! Short & Company are likely the most unique band on this years lineup. Guitarist/Vocalist Jeremy Short is one of the finest blues guitarists around. He’s a little bit country, a little bit rock and roll and that allows him to create his own version of the blues. Plus, he has an epic mustache. That alone is worth the price of admission. WARNING: Jeremy Short’s playing has been known to cause faces to melt! 1. Having great power or strength. See also Paintsville, KY’s Sean Whiting. If you can show me a more commanding voice than Sean Whiting, you’ll simply be mistaken. They just don’t exist. It is truly a rarity to say this, but Sean’s recordings don’t do his voice justice. When you hear him let go in a live situation and the hairs on your arms stand straight up on Sunday, you’ll totally understand what I’m saying. You’ve been warned. Now come and enjoy! The fine folks in Luna and the Mountain Jets are some of my favorite individuals on this planet. Just so happens they’re also fantastic musicians. David and Teresa Prince are truly Kentucky royalty. Their kindness, humility and eagerness to show you they care will make you lifelong fans. You’ll likely even catch an appearance from ole Laid Back Country Picker and Honey. They just like to play some good country music and treat everybody right. That’s not just a mantra for these folks, it’s truly a way of life. Bedford is an up and coming band that seemingly impress at every performance. I say that as I have not had the privilege of seeing them perform live yet. I brought them on this show based solely on feedback from folks that I trust. I’ve certainly seen videos from the ole Tube of You, but we will be experiencing this band together for the first time. Their sound is more of the classic rock vibe, think Paul Rodgers era Free, but their youthful energy makes them feel fresh and relevant. I can’t wait to see these young fellas from Morehead tear it up on Sunday! By far the youngest performers at our inaugural Cinder & Smoke Fest are Sour Cream. These young men are raw, but have the lineage of greatness flowing through them. Two grandsons of The Kentucky Headhunters guitarist Greg Martin make up 2/3 of this power trio. Taildragger, Itchy Brother, Black Cat Bone and even Supafuzz can be heard in their music. If you know those bands, you’re totally awesome, but you also know what the Glasgow, KY sound is and these guys have it in abundance. If you aren’t aware of the “Glasgow Sound”, check out the massive riff in “Dreams Of Blues” below. You’ll get it! We’re all about opportunities here at Capture Kentucky and these guys are gonna be a staple for years to come. See y’all on Sunday at Proud Mary BBQ! Music starts at 1 PM!